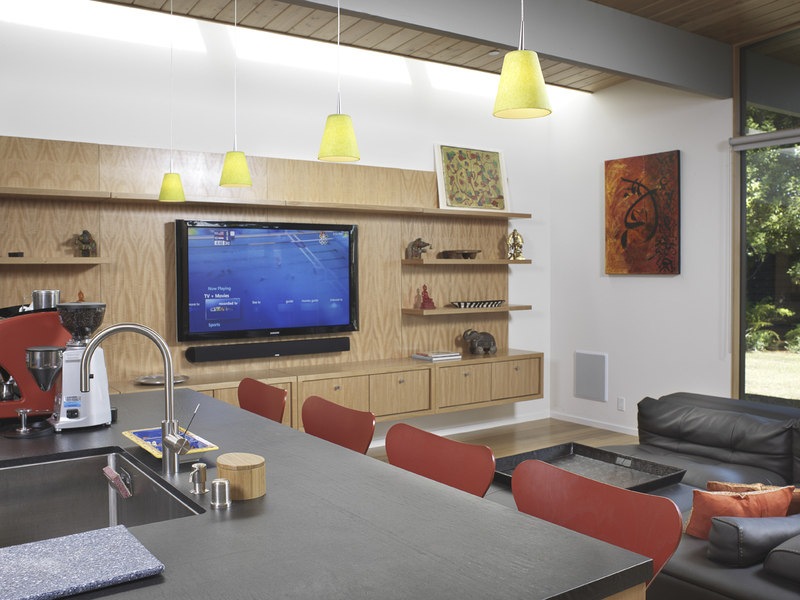 When Mike Kreaden built his new Eichler home he knew that he wanted the best of home technology audio/video, lighting, comfort and security solutions in his new home. But he and his builder, Steve Guzzetta, had a significant construction challenge. 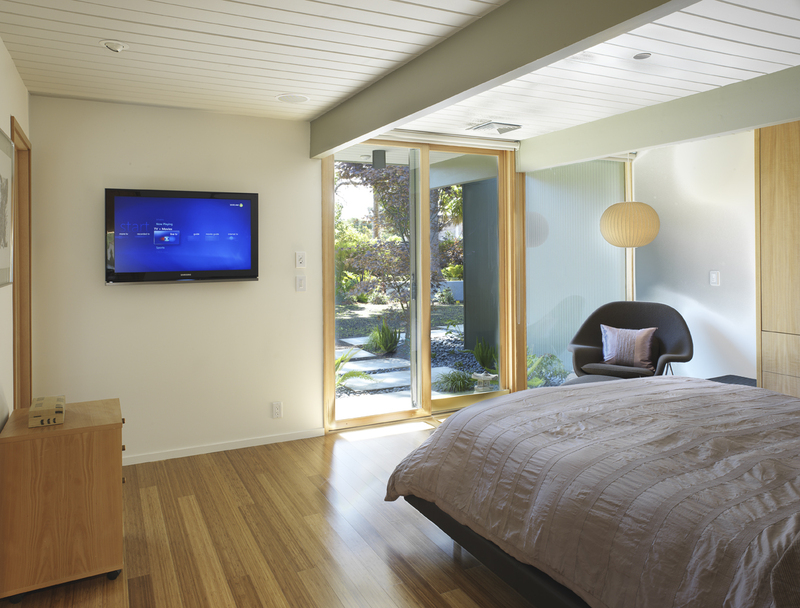 Eichler homes are designed with a large number of window walls and no attic or crawl spaces in which to run low voltage wiring. 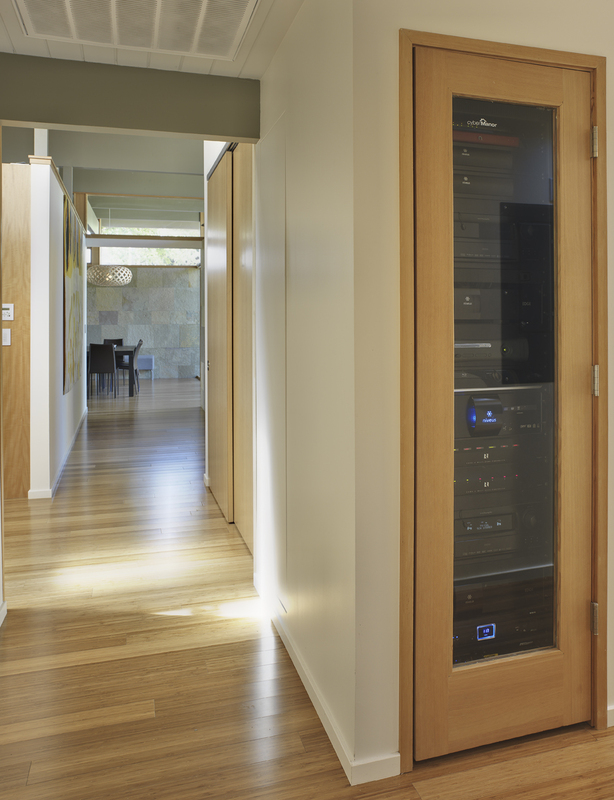 cyberManor designed and engineered an extensive low voltage conduit plan that was used to provide the network infrastructure that would serve as the foundation for the home technology solutions installed in the home. 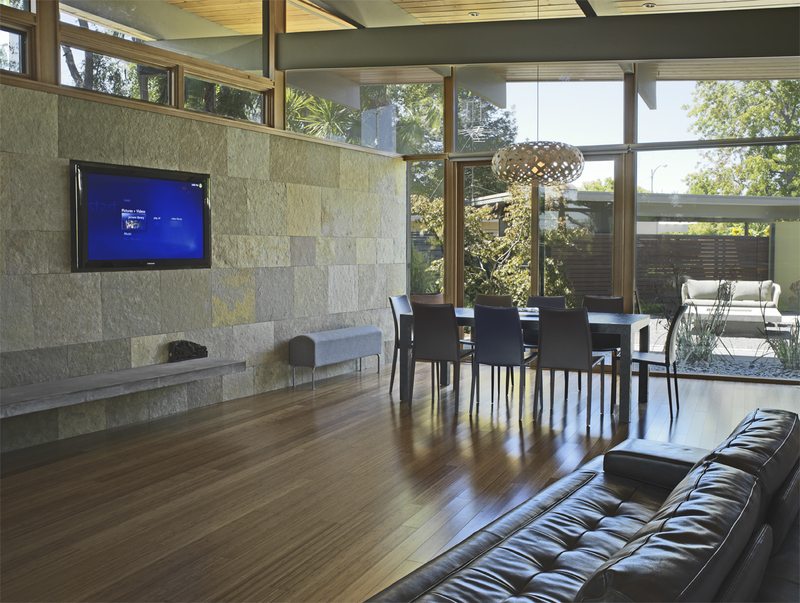 The multimedia and control solutions integrated into this modern home received Microsoft’s National Ultimate Installation Award in 2008. The Media Center Alliance wrote this Kreaden Case Study on the project and Microsoft covered it in their Microsoft News Center. Additional photos of this award winning home can be found on Houzz. 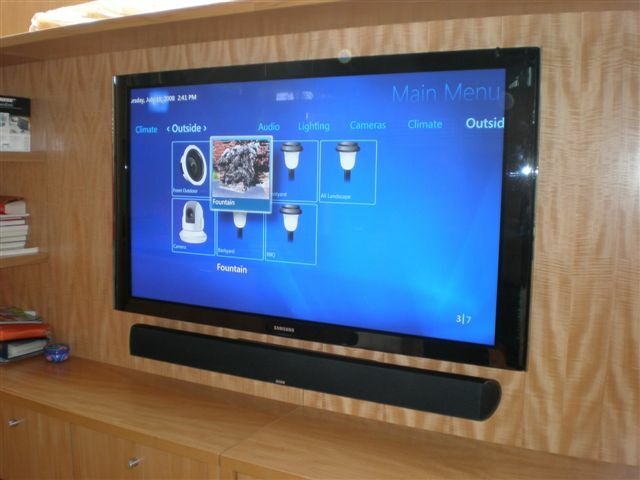 This Ultimate Installation was a cover story for Residential Systems Magazine.